This is a guest post by Lucy Ruthnum. As a backpacker who has now lived in Melbourne twice, I've loved getting out and exploring the city and far beyond. Not being much of a city girl, I've noticed Melbourne really has a fantastic balance of modern, built-up areas interweaved with beautiful sprawling parks that really help to make the skyscrapers feel less claustrophobic and imposing than they do in English cities. It's easy to wander around the city and quickly find yourself leaving the busy streets behind to get lost in lush, green woodland. Having lived in both South Melbourne and Southbank, I've been lucky enough to live with Albert Park right on my doorstep - a perfect place to run around the lake of an evening, or to gather with friends for barbecues or to watch the Grand Prix. Just behind sits the Royal Botanic Gardens, huge endless parks that stretch across the city with all kinds of treasures tucked just out of sight. Fancy getting a bit further out of the city? There are so many amazing places right on your doorstop in Victoria that it would be a shame not to! Here are my top five places to escape into nature around Melbourne. Just a couple of hours drive out of Melbourne and you'll feel like you've entered another world. 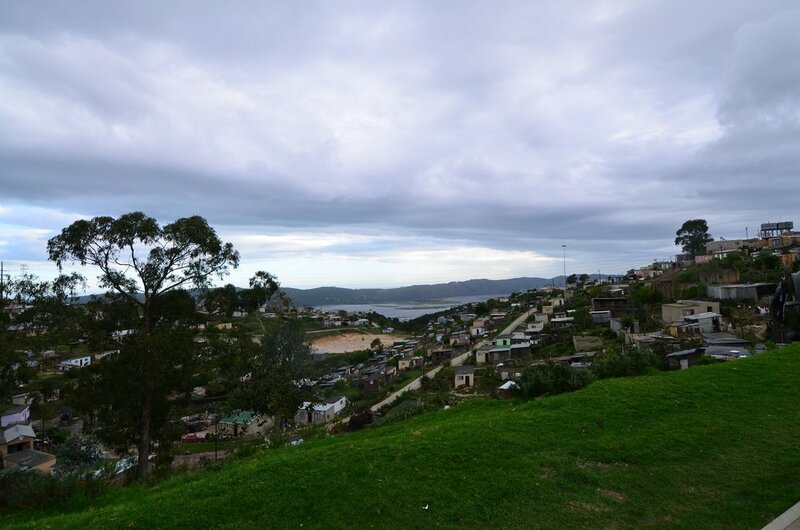 Wilsons Prom has everything from forest and mountain, to marshland, river, beaches and even sand dunes. You'll want a weekend to explore at your own pace so pack up the camping gear, the beers, and bring your best mates for a weekend you won't forget. Definitely don't miss seeing the view from Mount Oberon Summit, sunset from the beach at Tidal River campsite, and The Big Drift sand dunes. The absolute must-do when you go to Melbourne, the Great Ocean Road is the perfect road trip to take with your buddies, whether you're on a budget or fancy a big blow-out. There are plenty of luxury escapes to take your breath away, or do like my gang did and just pack a tent, hire a car and take advantage of the many free things to see and do. There are so many hikes, beaches, viewpoints and more to explore - don't miss Bells Beach during the surfing competitions, Twelve Apostles at sunrise, and the Round the Twist lighthouse if you're a 90s kid. Camp in Cape Otway National Park for an amazing experience and take a break from driving at Loch Ard Gorge for spectacular views. And on your way home, take a detour through the Grampians National Park! A perfect trip to do on your way home from the Great Ocean Road, you can see the highlights in one to two days. Taking you up into the mountains, don't forget a jumper for that fresh mountain air. Stay in the Halls Gap campsites - they're great for a campfire, and nice and sheltered from the wind. Don't miss the Pinnacle Viewpoint and take the walk through the canyon; The Balconies and MacKenzie Falls are also ideal for those perfect photographs. One I only ticked off my list last week, this national park is easily within reach for those without a car as you can get the train from Flinders Street to Upper Ferntree Gully, and then walk from there. It takes just a few hours to get out there and complete the walk, so it's perfect if you just fancy spending an afternoon in nature. The 1,000 Steps are the big attraction and although they'll definitely have you huffing and puffing, they're not as daunting as they sound. You'll see runners of all shapes and sizes taking them on over and over again as they sprint up and down. Pack a picnic to enjoy at the top then take a different path down to enjoy a different pace of walk. The last one I have to tick off my list, I'm excited to be finally visiting Phillip Island next week where I plan to overdose on nature, especially seeing wild penguins down by the shore. This is one that can be done in a day, either by an organised day trip or by just hiring a car with your mates and heading off independently. Home to some seriously beautiful beaches, there will be plenty to explore and it will be a perfect day escape from city life. Lucy Ruthnum is an award-winning travel blogger who has been travelling full time for three years, exploring the world and seeking adventures. She fell in love with Melbourne a year ago and couldn't resist coming back to live here a second time. You can read about more of her adventures over on Absolutely Lucy or by following her travels on Facebook, Twitter and Instagram. All images courtesy of Lucy Ruthnum. It’s a compulsive obsession. There’s no turning back once you begin. A bird that is missed could be a blocker for life. When word comes through that a vagrant has been spotted, twitchers all over the country consider how much annual leave they have up there sleeve, check their bank balance and scramble to clean their bins. There is currently a submission being reviewed by BirdLife Australia's Rarities Committee to verify that this is a genuine Red-billed Tropicbird. If accepted, this will become only the second record of this species in Australia. Photo: Rowan Mott. If that sounded mostly like gobbledygook, let me explain a little better. I am talking about ‘twitching’, the pastime practiced by bird watchers at the extreme end of the hobby. People who do twitching are called twitchers and twitch can also be used as a verb for doing the activity. But what exactly is it that twitchers do and why are they cleaning their bins because of it? Twitchers are bird watchers who specifically aim to see birds that are unusual because of where they have been seen or, in some cases, ones that are so rare that when they do turn up (even where they are supposed to be) it is a noteworthy sighting. In most cases, a twitcher will be travelling to see a bird from another country that has been blown off course during migration and ended up here. Sometimes freak weather isn’t responsible and the bird in question may instinctually follow the wrong flightpath, perhaps due to a genetic mutation. These birds are referred to as vagrants. To a twitcher, the reason for the bird being here matters little; it is seeing the bird that is important. To aid observation they use binoculars, just like any other bird watcher might. This is where the term bins comes from. To fully clarify the opening paragraph, a blocker is a bird that is unlikely to show up again anytime soon and hence blocks the people who missed out on seeing it from catching up to those who were lucky enough to see it. As you can see, there is a rich terminology associated with the pastime of twitching. There are positive words such as tick (seeing a new species and hence being able to tick it off) and mega (a bird so unlikely to be seen that it is deemed a mega-rarity). There are also terms that a twitcher never wants to be associated with, like dipping (travelling to see a bird, but not being able to find it when you get there) and stringer (someone who claims to have seen something that they have not). No twitcher wants to get a reputation for being a stringer. At the end of the day, the twitching world operates on an honesty system. A reputation for honesty cannot be easily regained once lost. In today’s era of smart phones and digital cameras, most claims of a rare bird can easily be verified with photographic evidence. There is even a rarities committee that you can send reports of sightings to to get them officially accepted as an Australian record. Throughout this article, I have said that vagrants arrive ‘here’. This could mean anywhere in Australia, hence the need to check the status of annual leave and bank balance. While I am writing there is a Laughing Gull at Venus Bay, west of Adelaide and a Eurasian Wigeon (a type of duck) somewhere near Port Headland in Western Australia. So how does a twitcher in Melbourne find out about these sightings? The twitching community is pretty close knit and there are a number of websites (see here) and social media groups, such as the Australian Twitchers Facebook group, for sharing information. There is also a certain amount of kudos that comes with being the first to spot and identify a rarity, so most people are only too happy to share the information about what they have seen. “Hang on,” you might be thinking, “‘community’ and ‘sharing information’ imply there is more than one person crazy enough to do this.” And you are correct. Twitching is a serious pastime full of friendly rivalry. There is even a leader board keeping tabs on who has seen the most species (see here). In comparison to the crowds of hundreds that turn up at the sighting of a mega in the U.K. or North America, crowds of Australian twitches pale into insignificance numbering up to around 15 people at any one time. So who are these twitchers? Well, I am one (when I can afford to and have the time which inevitably means I don’t get to chase everything I would like! ), but you can find all types of people at a twitch, ranging from the occasional school child to grandparents. People younger than thirty are typically a minority, but everyone is very welcoming. Twitching invariably involves travel. It is always a thrill when a trip plays out as hoped and you are able to return home having seen the bird. However, extensive travel is not great for a minimising your carbon footprint. I think the best way to turn a twitch into a positive for the environment is to tell as many locals as possible why you are there. The more people who appreciate how much tourism can be generated by people wanting to get out into the environment and see exciting wildlife the better. Ecotourism can be an important economic generator, particularly in rural and remote communities, with ensuing conservation benefits. If you go chasing the next mega, make sure you tell everyone who will listen why you are there. Wherever the next vagrant happens to turn up, perhaps I will see you there (and fingers crossed we both see the target bird, too).